A while ago a customer (an event organizer) rented a couple SkyCarts from to use during airline themed special event. We customized them with a simple logo banner. 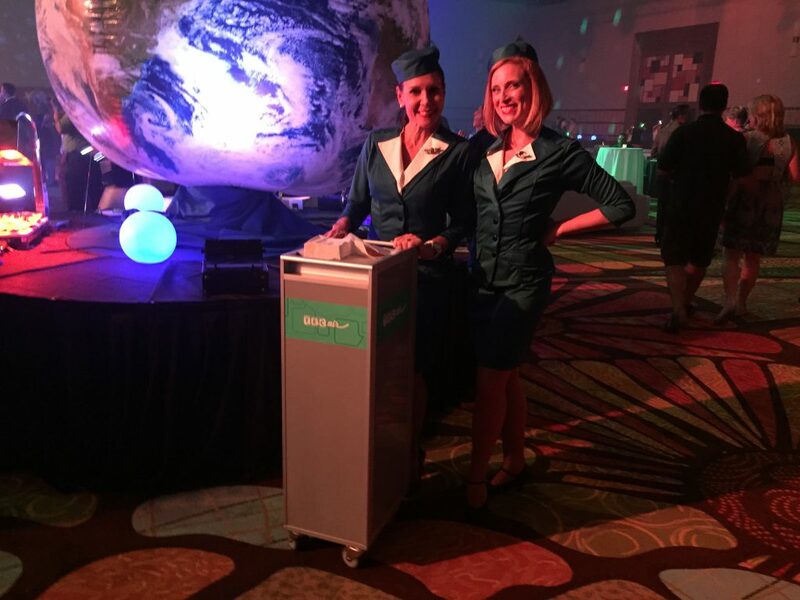 The customer hired hostesses in flight attendant uniforms and had them distribute promotional items during the event. 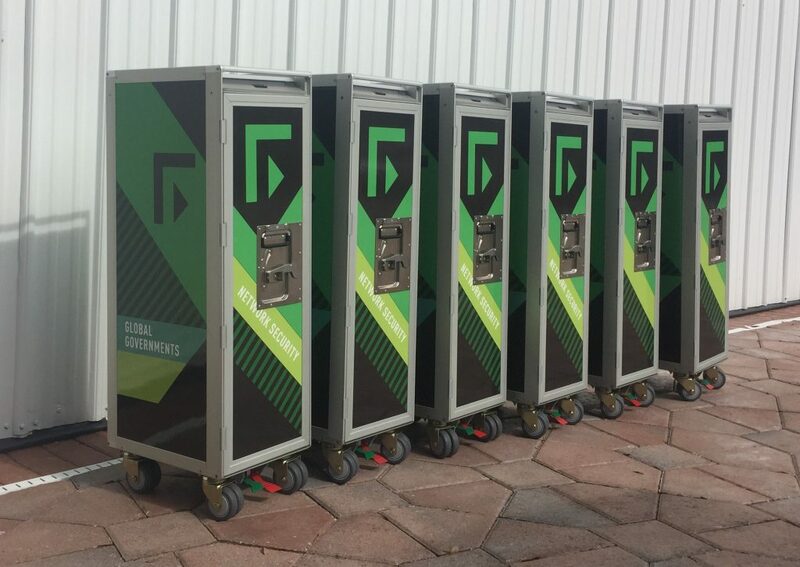 The airline service carts added significantly to the authentic touch of the event. The SkyCarts below did not really go to a corporate event. But similar. They were used in the VIP lounge at the US Bank Stadium in Minneapolis during Super Bowl LII. They were slightly modified to hold a flag pole and the top aluminum drawer was modified to sit flat on top of the trolley. 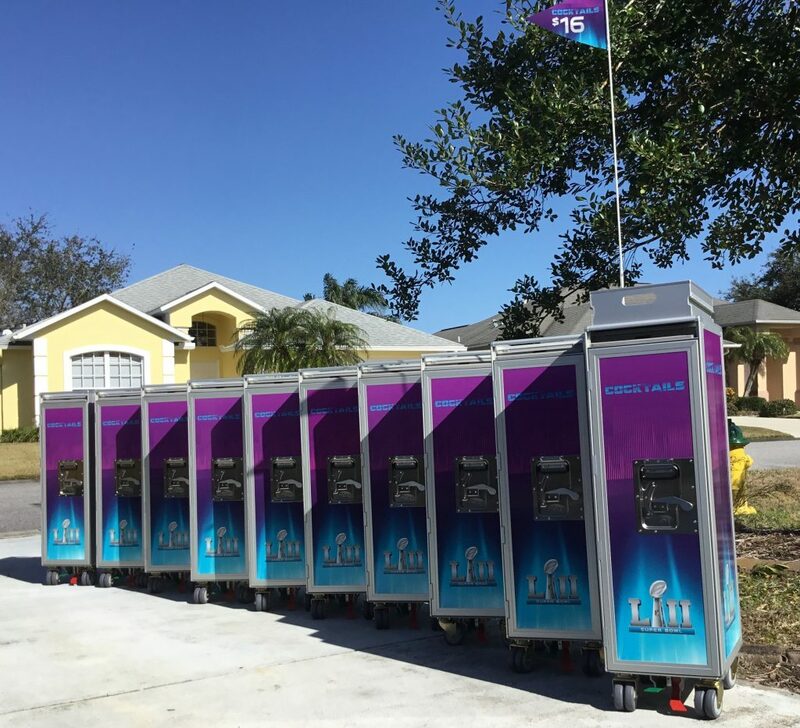 The customization was designed by the customer’s graphic department and it had – of course – to be approved by the NFL.